Quality Apparel. Direct to Garment Roundup. Direct to garment (DTG) printers allow print shops to offer customizable apparel for advertising and events. Clients demand high-resolution graphics and on demand printing capabilities. In part two of this two-part series, we provide a roundup of available DTG products in the market. The AnaJet 6000 is the company’s most recent DTG printer designed and built with Ricoh. It prints white shirts in 20 seconds and dark shirts in 40 seconds. The AnaJet 6000 features Ricoh Gen4 Industrial printheads and an intuitive control panel with a touchscreen interface. The printer has built-in white ink circulation that improves ink flow and minimizes waste. It switches from printing on thin to thick garments with up to three inches of laser-assisted table height adjustment. The AnaJet 6000 prints custom designs on hats, sleeves, pockets, youth garments, and offers optional custom print tables and platens. Also available, the AnaJet 3000, which is designed for users with lower volume demands. Belquette offers the Genesis, released in 2017. It prints 80 to 120 light garments per hour or 30 to 40 dark garments per hour. The Genesis features a 16×20-inch print area with the ability to print larger. Its closed ink delivery system with 500ml ink bags allow high-volume throughput. “The ground-up design uses Ricoh’s latest stainless steel printheads for industrial purposes,” says Jerid Hill, sales manager, Belquette. The Genesis also features an integrated flushing system to automatically clean critical areas and uses DuPont’s Artistri series inks. Its pricing begins at $27,995. Brother International Corporation features the Brother GT-3 Series, released in early 2012. It prints up to 1,200 dpi and includes the GT-341 with CMYK, GT-361 with CMYK and two white printheads, and the GT-382 with CMYK and four white printheads. The GT-3 Series maximum printing area is 16×18 inches and includes a two-year limited warranty. “A large printhead-to-substrate gap allows printing over seams, zippers, pockets, and more,” says Mark Bagley, marketing director, industrial products division, Brother International Corporation. The GT-3 Series includes optional platens for baby and youth garments, oversized apparel, caps, footwear, and bags. The Epson SureColor F2000 features a 10×8-inch upper chest and prints white. The DTG printer handles garments from 100 percent cotton to 50/50 fabric blends. It leverages Epson UltraChrome DG ink technology developed specifically for the Epson MicroPiezo TFP printheads. The printheads are one-inch wide with 360 nozzles per color. “The SureColor F2000 printers deliver industrial-level production, image quality, and reliability,” says Matthew Rhome, business development, fabric imaging, Epson America, Inc. The F2000 is priced at $19,995 and includes a 14×16-inch medium standard platen. Kornit Digital offers the Kornit Storm Hexa that prints up to 170 light garments or 80 dark garments per hour. Launched in early 2016, the Storm Hexa is developed for mid-sized businesses and high-volume production. Its integrated pretreatment system eliminates the need for external processes. The Storm Hexa includes an integrated humidity system and its ink recirculation increases production reliability. John Albrecht, sales director, Kornit Digital, says it has 30 percent more color options with CMYK and R&G color configuration. The Storm Hexa uses an eco-friendly process with biodegradable inks that comply with industry standards. Mutoh America, Inc. offers the ValueJet 405GT direct to garment printer. The device prints CMYK plus white. It has a small footprint to easily fit onto a table or desk. Featuring a wide print area and different platent plans, the device is versatile enough to print onto different applications such as t-shirts and bags. MESA features the Summit XT DTG printer with One Pass technology. In two minutes, it prints a full-color 8×10-inch image onto a dark shirt. The Summit XT prints up to 2,880 dpi but is recommended for 1,440 dpi. Its Navigator RIP software works with the printer’s printhead technology to dispense variable-sized ink droplets for precise ink placement. The Summit XT also features a white ink control system to keep white ink flowing to reduce settling and clogging. The DTG printer is priced at $10,995 or $12,995 with Navigator RIP software, heat press, and supplies. OmniPrint International highlights the FreeJet 330TX Plus digital press. It prints light garments in one to three minutes and dark garments in two to four. The 330TX Plus was released in late 2016 and features wet capping for printhead protection, white ink circulation, a bulk ink delivery system, and Gamut Plus ink for cotton and polyester. “The 330TX Plus is the one of the only printers on the market to offer Gamut Plus inks. You can print on all cotton and all the way up to cotton blends and light or dark polyester,” says Paul Green, product manager, OmniPrint International. The 330TX Plus is priced at $24,995 with everything included to start printing. DTG printers offer fast speeds and high resolutions for apparel printing. 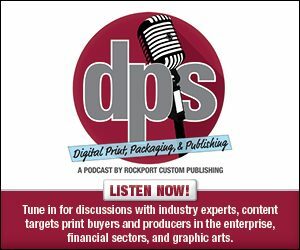 Print providers considering apparel printing should determine the shop’s needs for pricing, speed, and additional platens. As DTG technology advances, the option to go digital becomes more cost efficient.